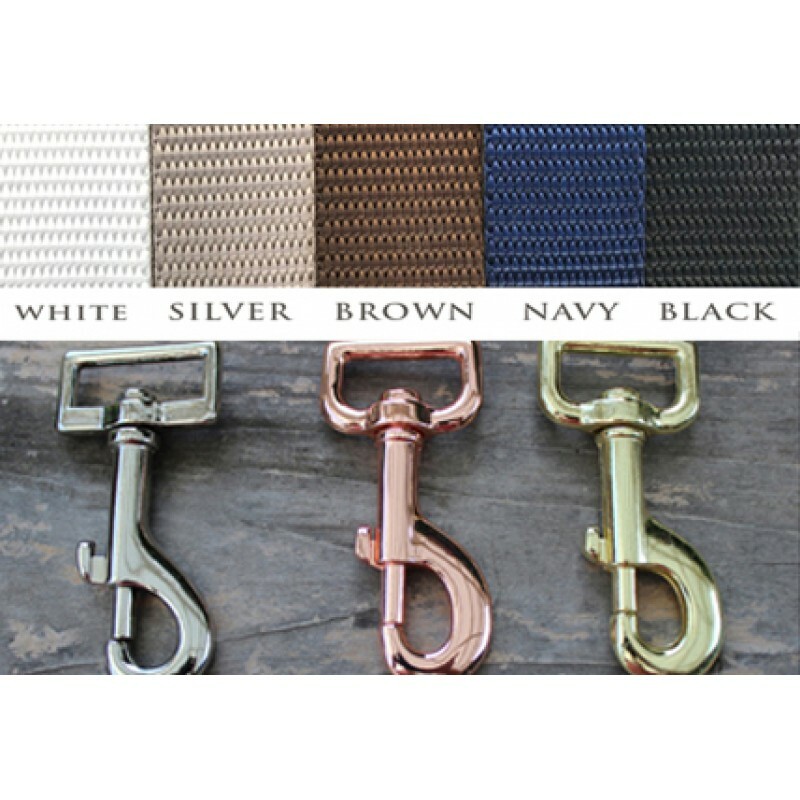 All-metal buckles: Our sturdy, whisper-weight aluminum buckles weigh less than an ounce! 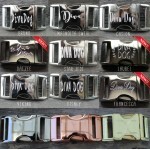 You now have the option to choose from silver, rose gold or gold at no additional cost! Give your customers the option to personalize their collars and increase your sales! 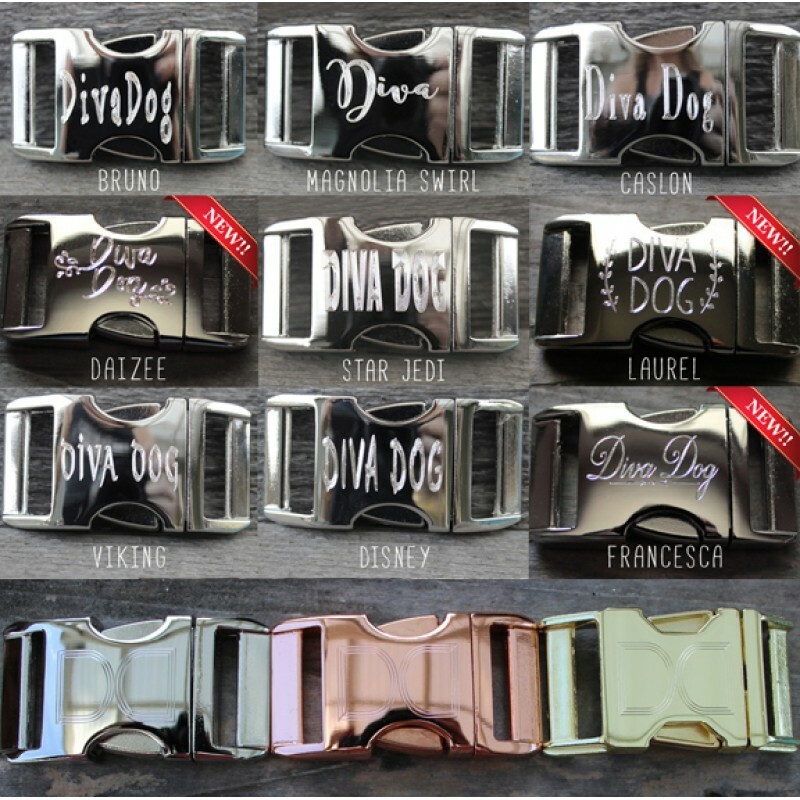 The diamond engraved etching is very precise and clear to give you easy to read buckle. Choose from 8 fonts - and up to 26 characters. Add your store's logo! 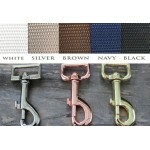 Just $2.50 per buckle - NO set up fees. Get the benefits of private label, without the expense of placing large orders. Just enter the word "logo" in the box below and send us your logo. We will send you a photo of the sample for approval. 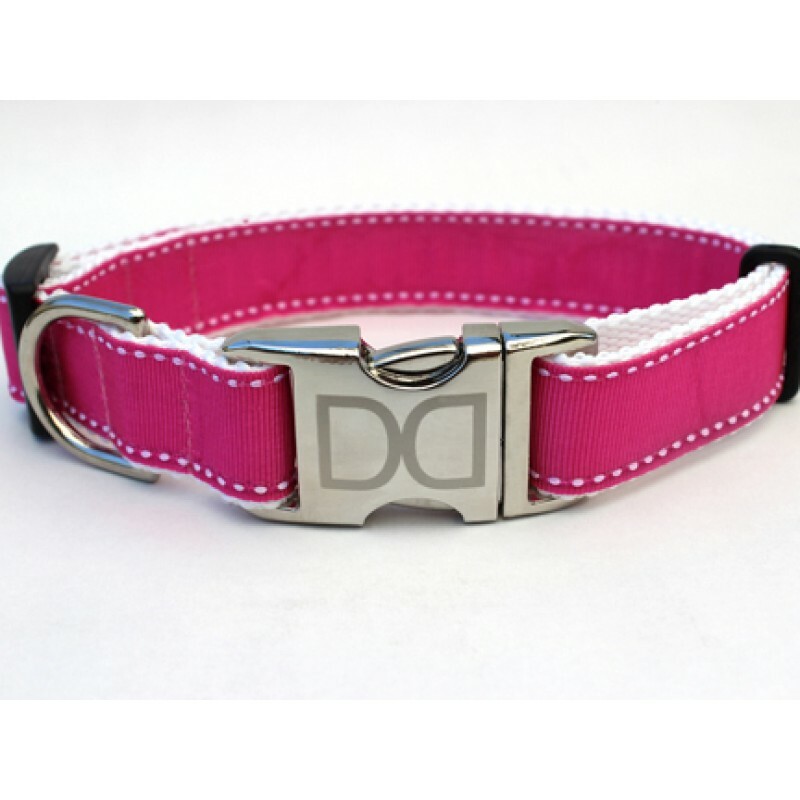 You can now select from FIVE nylon backings to further customize your collar: Black, White, Grey, Navy or Brown. 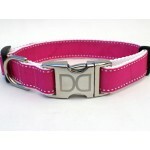 Just let us know which collars you want made with which nylon colors in the notes section of your order.